His film credits include Rabbit Hole, Project X, The Spectacular Now, and more recently Divergent. His name is attached to the next huge superhero franchise, The Fantastic Four. Basically he is on a ride that can only go up from here. Whiplash is only going to add to the career high that he is on. Teller is a chameleon when it comes to acting. He plays the stuck up high school student in The Spectacular Now and in That Awkward Moment, he is the player hanging around NYC. In Divergent, he is the villain and antagonist looking to stir everything up. In Whiplash however, he shows a more serious side to his acting. 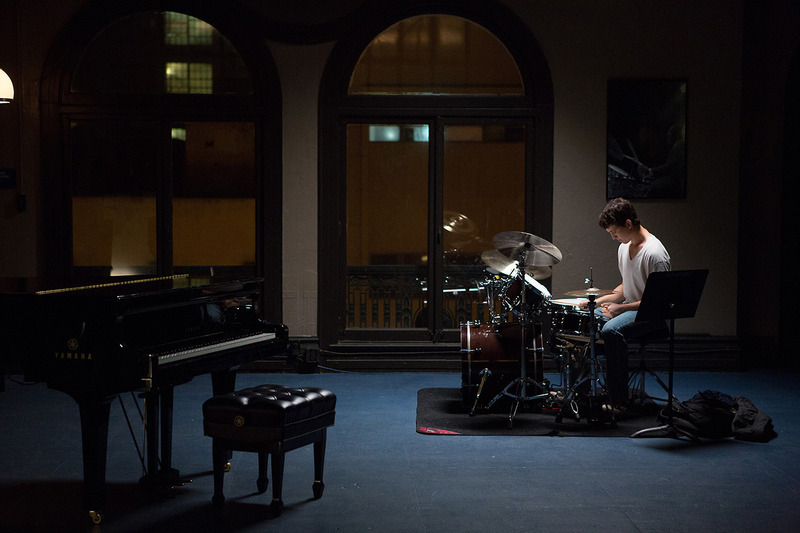 Whiplash was the winner of the Dramatic Film at Sundance this winter. The film channels the relationship of a student jazz drummer and his intense teacher at a music conservatory who will not give up once he sees his students potential. J.K. Simmons, plays his counterpart, pushing him to his limits, giving Teller a new audience to play to. Whiplash will win this season. Simmon’s intensity is unlike any other character he has played. He is intense, loud, and determined to push his students to his or her limits. Simmons and Teller have this illuminating chemistry. The are both pushing themselves to push one another. They share similar goals with the characters they play, while going to extremes to achieve them. The film is full of shocking confessions and extreme confrontations. The film shows how passion can drive someone, yet not always in the best direction. 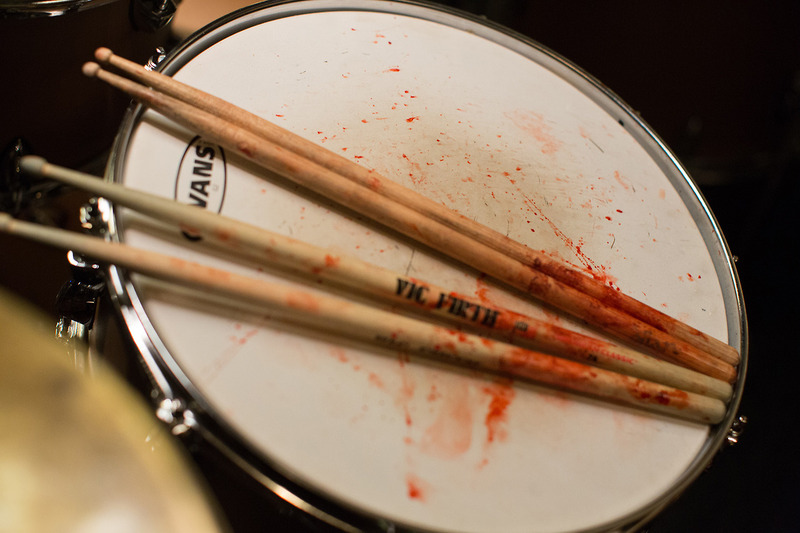 What impressed me the most in the film was intensity of the drumming. Teller stated in many interviews that he taught himself how to play the drums when he was 15. However, this is not the same caliber of drumming that takes place in Whiplash. According to an interview conducted on people.com, Teller worked for two months playing three or four hours per day. Teller had to learn how to play the drum the jazz way. This means holding the drum sticks in a different manner and mastering the time charts and other skills that come with jazz drumming. The film focuses on the two main music compositions of “Whiplash” by Hank Levy and Duke Ellington’s “Caravan.” Teller had to master those pieces in order for the film to soar. In this clip below, Teller explains why he became a drummer to Jimmy Fallon. Teller explores a new potential with his character in Whiplash and it should not be ignored this coming award season. While J.K. Simmons seems like a lock for a supporting actor nomination, I would definitely watch out for Teller. The field this season is very deep, but I would not count him out as a long shot. Teller never fails to entertain in any role. In the coming years, he is sure to be all over the place. I am glad to see him breaking out of his typical character role as the high school player and moving on to something more serious. Another positive aspect, he seems like a typical down to earth and very chill guy.